It could be a website selling eBooks or a blog about beauty related products. Whichever it is, all website owners want their online visitors to take specific actions on their sites. An IT manager institute would want online visitors to sign up for their newsletter. An online store selling teddy bears would want online visitors to end up at the “thank you for purchasing” page. A human resource management consulting firm would want online visitors to end up at their “please call me” page. A blog owner would want online visitors to head over to their affiliate product’s webpage which they are promoting. For all the examples mentioned above, whenever someone ends up taking the specific action, we would call that a successful conversion. So when an online store owner complains that he is getting tons of traffic to his website but suffering from low conversions, what he really means is many visitors have reached / viewed his site but did not purchase anything. If you have a website, you must be wondering if there is a way to help improve conversions on your site. Yes! 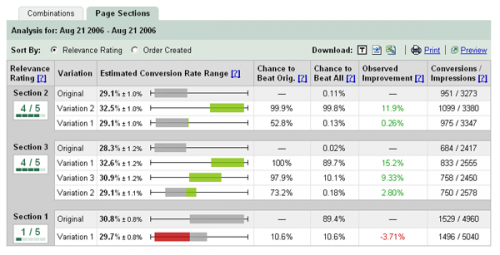 There is a tool called Google Website Optimizer. Google Website Optimizer is basically a free tool for site owners to test which page or content converts best. To better understand, let’s visualize this use case. Your marketing team has designed three different web pages to promote your organization’s latest product. In order to find out which page converts best and to be ultimately displayed to the public, they can use Google’s website optimizer to find out which of the 3 pages are most likely to convert. Buy now while stocks last! Buy now! You won’t regret it! Don’t wait for the New Year to come! Buy now! So again, you can use the tool to find out. Technically speaking, the website optimizer will produce scripts for you to include on your pages followed by tracking the number of successful conversion. The screenshot below shows a report that for section 2, Variation 2 produces an 11.9% improvement over the original page. So it’s likely that they will use Variation 2 as the final copy to be displayed to the public. Some marketers really like this tool because it provides valuable information which can be used to help the management decide on which page / design / content works best. Without it, the management may take a long time to decide which copy to approve. I hope you get an idea on how important it is to perform these test to find out the text / pages which converts best. To get started, learn more from Google Website Optimizer page. 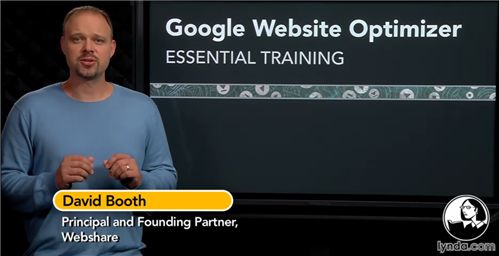 If you prefer learning via an online video training, simply request for this free Google Website Optimizer Essential Training (sample screenshot below) by Lynda.com. If your site is on WordPress, you might want to check out a video by Ryan Carson on How to do A/B testing in WordPress. What Can Instagram Do for Your Business? 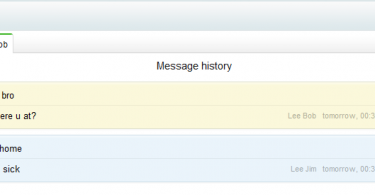 OpenX vs DFP… which is better?